What if you could somehow be alerted before any pressing event is to take place in your life? Do you wish to come out as a victor in every task that you begin with? Do you want to know the promising Muhurats that could shower eternal prosperity & luck all over you? Read Sarvartha Siddhi Yoga 2017 Muhurat dates and get to know the days that are rewarding for you in the truest of sense, keeping aside the hostile ones. Success in business and other such ventures gets almost confirmed, if done under Sarvartha Siddhi Yoga. Sarvartha Siddhi Yoga forbids one from buying new vehicle on Tuesdays. This Yoga states that iron should never be purchased on Saturdays. 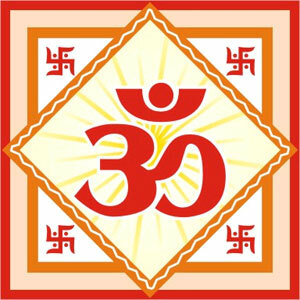 All the desired wishes are possible with Sarvartha Siddhi Yoga. Mrityu Yoga gets nullified with the help of Sarvartha Siddhi Yoga. Below you shall find the table which has been extensively prepared by our dexterous astrological team; who are very methodical & know their onions quite well. Go through the dates carefully & pan out your events accordingly. Check out the most promising Vidhyarambh Sanskar Muhurat for 2017 in the table given below. If you keep in mind, these dates & plan your curriculum around it. You will witness a major turnaround in your fortunes. Sarvartha Siddhi Yoga 2017 is your ticket to happiness. Do not miss this opportunity that comes begging your way. Go through these dates meticulously & note them down so that you can work up your things in order to make the most of it. Note: The placement of moon on these nakshatra on the given days shall be responsible for Sarvartha Siddhi to actually take place.